Buy New condition continuous belt microwave dry machine/Cardboard dryer device - Shandong Leader Machinery Co.,ltd. 2.The reason for choosing microwave dryer 1,continue produce 2,keep original color and nutration 3,easy to control 4,save energy 5, save labours 6,fast heating,evenly dried 7,improve the quality of products, increase income. If you want to know more about the drying machine, please do not hestitate to contract me.Thank you! For the whole New condition continuous belt microwave dry machine/Cardboard dryer device,warranty is 12 months,within 12 months,if have equipment quality problems,we will provide accessories freely. After the expiration of the warranty period,if have spare parts problem,we only receive the cost of required replacement parts.We commit we will provide free technical support of equipment all whole life. Our company has engaged in producing and exporting New condition continuous belt microwave dry machine/Cardboard dryer device for many years, and until now, our machine has exported to overseas market, such as Brazil, India, Indonesia, Russia, Thailand and so on, and get the foreign customers' unanimous praise. We believe that you purchase shandong leader machinery co.,ltd. 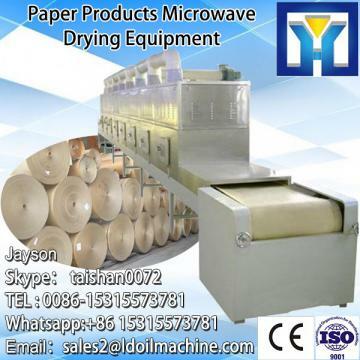 New condition continuous belt microwave dry machine/Cardboard dryer device is your best and sensible choice.